I decided to create a scene showing a reflection on ice. 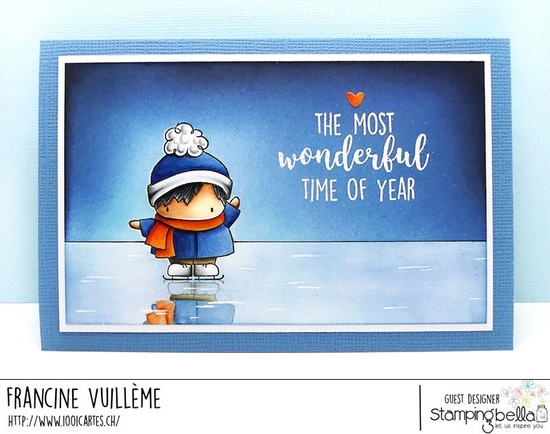 This ice reflection stamping is a super fun and easy technique! I started by creating a mask for the skater using masking paper. I then stamped the skater in black ink on white cardstock and masked him. I also drew a horizon line to divide the iced surface and the sky. Next, I stamped the skater in black ink on a transparent sheet and I pressed the sheet onto the white cardstock below the skater (upside down) to create the reflection. I sponged the sky using various blue Distress inks and I removed the mask. I colored the skater as well as the reflection and the iced surface. I heat embossed the wonderful sentiment from the Holiday Sentiment set with white embossing powder. The white sentiment really pops against the blue background. I added a tiny orange heart for more cuteness. To finish off the card, I matted the scene on white cardstock and a blue card base. I hope you’ve enjoyed this technique! Let me know if you give it a try! 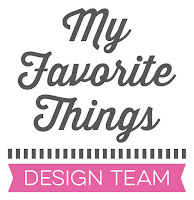 Don’t forget to head over to the Stamping Bella blog for more inspiration every day! It’s all for me this year! LOL See you in January! I wish you all the best for 2018! Happy New Year! Francine, this is perfect! I am sooo going to try your reflection technique. Such a cute image and thanks for sharing the awesome technique! Such a striking card, Francine! I love how you created the reflection on ice and your ink blending on the background is gorgeous! Beautiful Copic coloring, too! This is such a special card!!! Oh ma petite Francine, comme c'est toujours un plaisir pour les yeux de passer par ici ! Ca fait un bien fou de voir tes créations, tu as toujours autant de talent ! Merci de partager celui-ci avec nous ! Gorgeous card! Not only is the reflective image a fabulous touch, but so too are the white lines you added to the ice surface to make everything so much more realistic! Beautiful, beautiful colouring and I'm looking forward to seeing more of your wonderful creations in 2018 - wishing you all the best! WOW ! Cette carte est juste incroyable ! La glace avec le reflet sont super réalistes. C'est vraiment une création exceptionnelle.